“May the authors’ words inspire readers on their own journeys to better understand the nuances of this fascinating profession and to conduct their work as a labor of love; not a job, but rather a calling and a joy. Eric Blehm is the bestselling author of Fearless, The Only Thing Worth Dying For, and Legend. Hundreds of millions of people seek out opportunities for enjoyment, learning, and inspiration through visits to our national parks, historic sites, museums, zoos, aquariums, and other tourism destinations. And yet very few are aware of the behind-the-scenes efforts of interpretation to provide deeper understanding and enriched experience of these places. 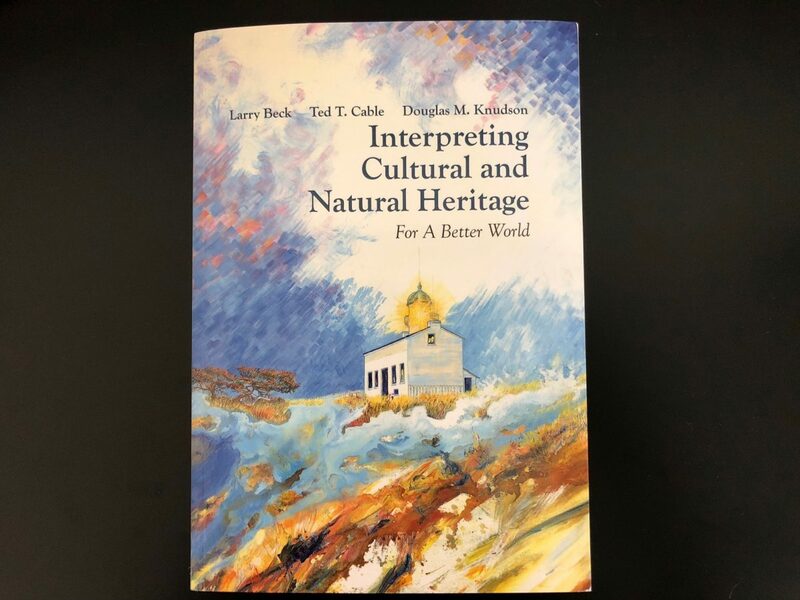 Interpreting Cultural and Natural Heritage is written for those who work at various interpretive sites and wish to know more about all of the fascinating nuances of this field. It exposes readers to the art and science of interpretation and how its proper use can indeed change the world. Larry Beck, Ph.D., Ted. T. Cable, Ph.D., and Douglas M. Knudson, Ph.D. have more than 125 years of combined experience in the broad field of interpretation.